Since there was no easter egg hunt for us to participate in, my sister and I decided to plan a fun Sunday Easter brunch at The Stanton Social instead. Unfortunately she had too much fun the night before and didn't make it, but the rest of us enjoyed it enough for her. 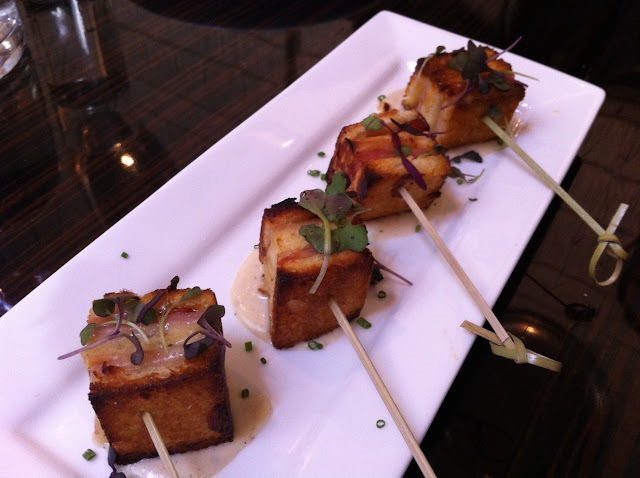 The Stanton Social serves small plates/tapas, so it was nice to get to share several dishes. We sat on the second floor, where there was a skylight and comfortable booth seating. 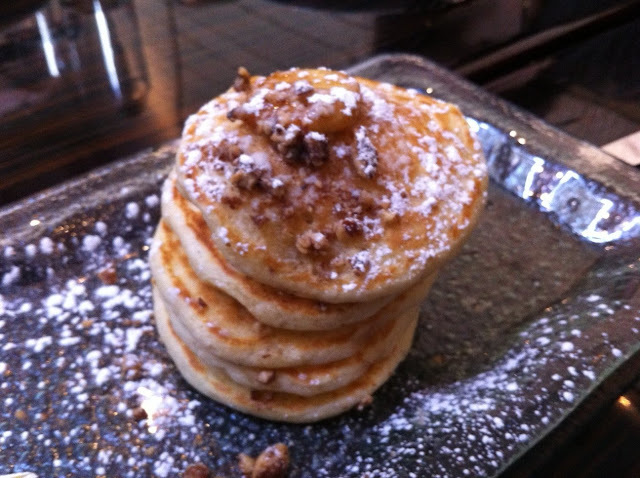 We started off with Caramelized Banana Pancakes, $8. My new favorite pancakes ever. So perfectly fluffy and sweet. Croque Monsieur "Satays", $9: mini brioche, country ham, and gruyere, muenster. The brioche had just the right softness to it, and the cheeses were delicious. 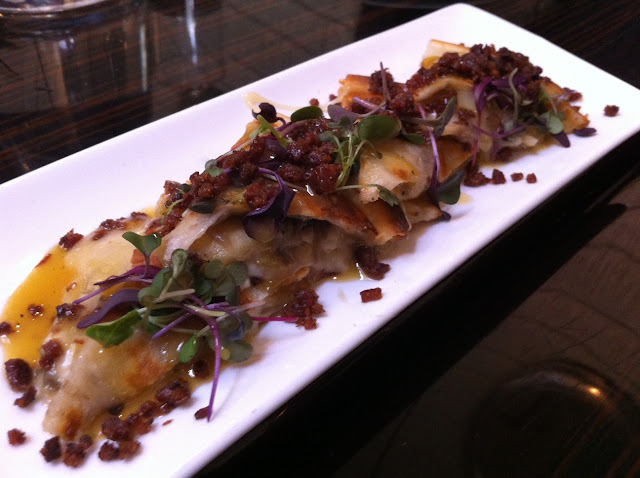 Grilled Apple and Brie Quesadilla with mustard-maple syrup and smoked "bacon bits", $11. An interesting twist on a quesadilla. I really liked the mix of sweet and savory. Bacon is always a welcome addition, too! Chicken 'n Waffles, $19. The only disappointment of the meal. The chicken was slightly dry and on the bland side. This was definitely not worth $19. 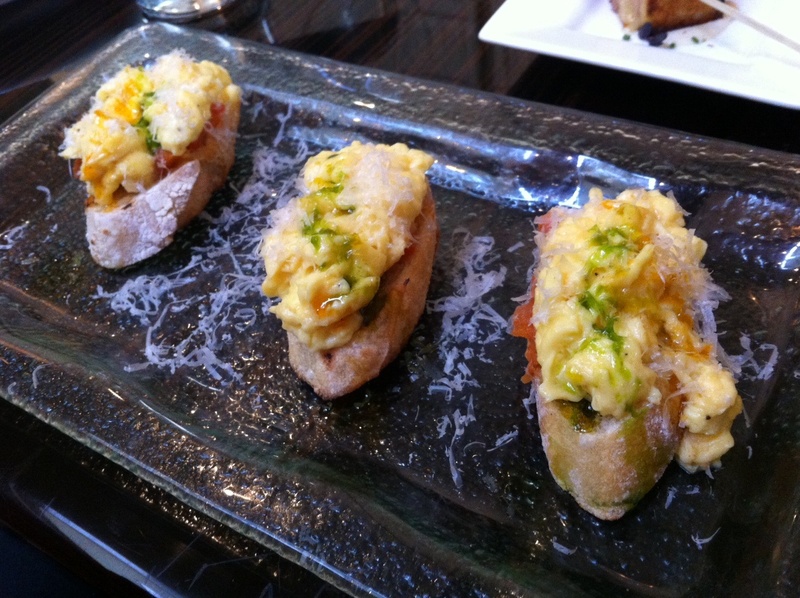 Breakfast Bruschetta with scrambled eggs, ovendried tomatoes and asiago on bread, $9. Didn't try this, so I can't say anything about it. It looked good though! 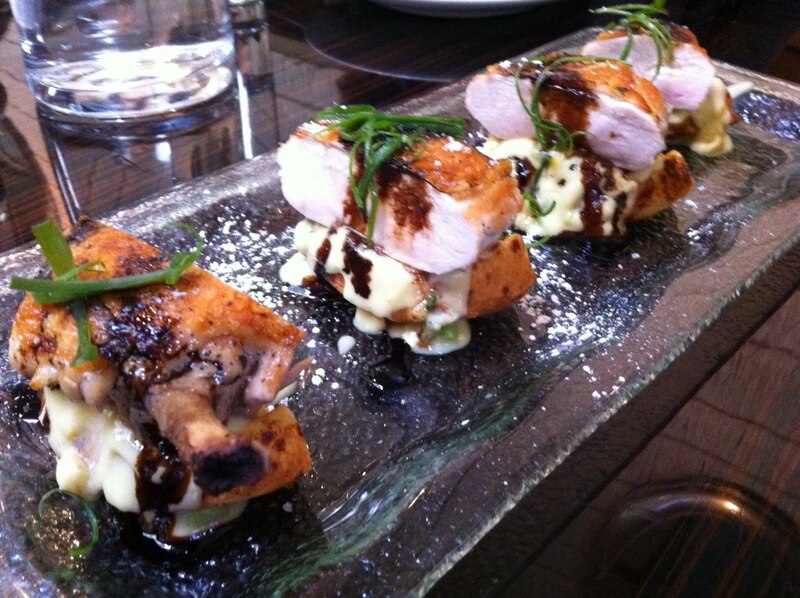 We all agreed that even though the portions were small, most of the dishes were done very well. Would definitely recommend this place. Sad I missed it!! Toni's fault...haha Let's go another time sis!